Whenever a new restaurant opens up in East Dallas, the residents, including myself almost go in to full-on hysteria out of excitement. For so many years, East Dallas has struggled to find their identity and establish its own food community but times are a-changin’ and thank goodness for that. With the addition of White Rock Ale House & Brewery on Gaston and Garland Road, East Dallas is celebrating once again. This kind of spot is exactly what the Lakewood-area neighborhood needed and it is truly a destination for all Dallasites, whether you’re an East side-r or not. A few weeks back, we had the opportunity to pop in for dinner and were actually blown away, not only by the food but the beer selection and service as well. 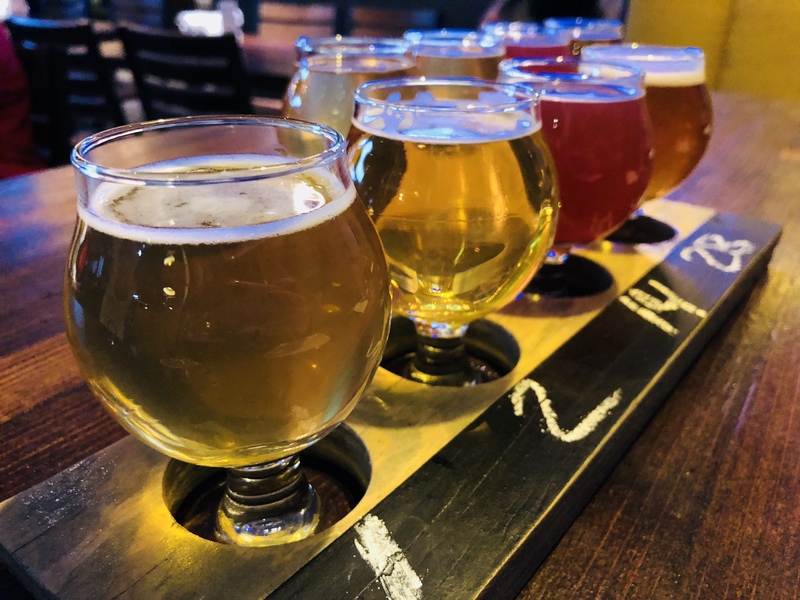 The folks at White Rock Alehouse & Brewery definitely know what they’re doing and here is a sneak peek into why we’re crushing on them so hard. First of all, they are brewing their own beer along with tons of locally crafted beers and you KNOW we are all about local supporting local. After all, this is Dallas, it’s what we do here! They have these magical things called Tater Kegs. Tater Kegs can be stuffed with crab or bacon, cheddar, and chive. 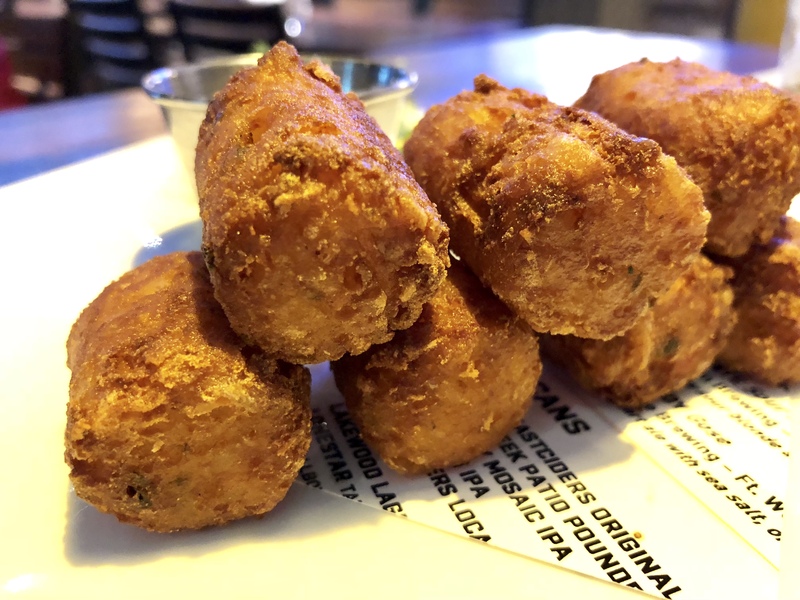 We tried out the crab Tater Kegs and they are mind-blowing. We were legitimately fighting over who got the last one. Highly recommend several orders even if its just you there are just two of you dining. They take risks. 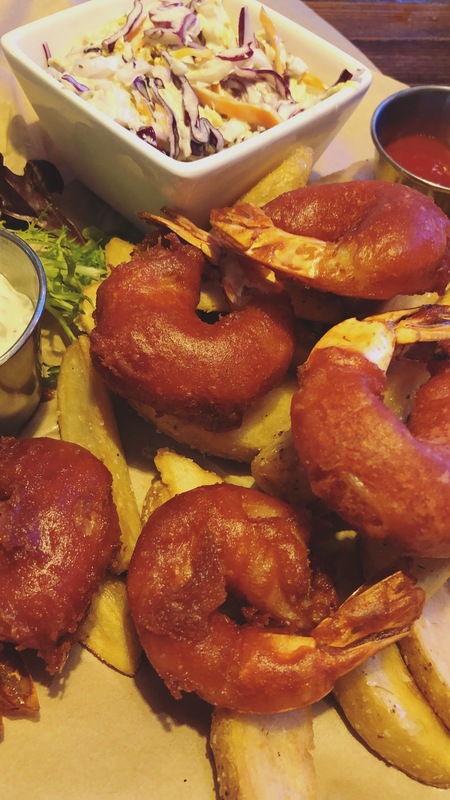 Ever heard of Red Velvet Fried Shrimp? Yeah, me either. I know that it sounds totally strange but it is DELICIOUS. It is so good that we’ve been back twice already just for these babies. They are sweet without being overly so and savory with just the perfect hint of salt. It is an odd combination that works so perfectly, Chef has to be praised again and again for this! 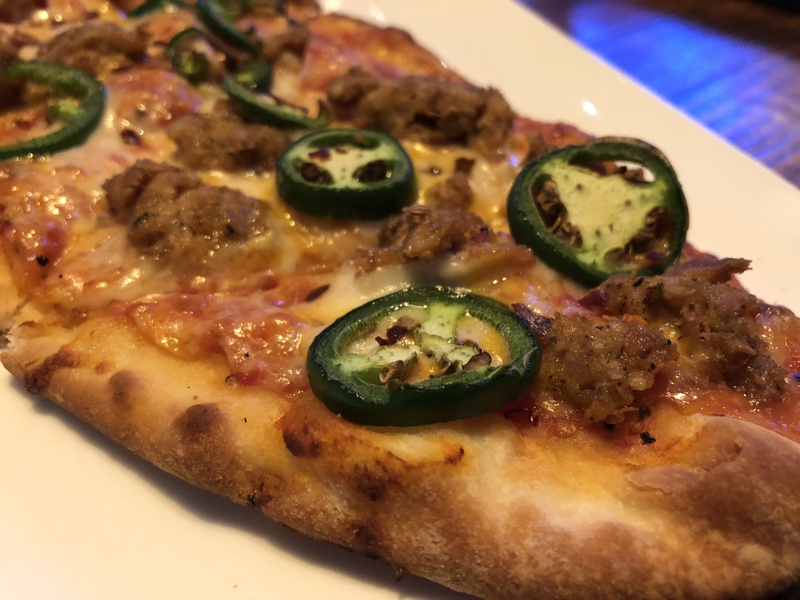 Don’t sleep on their flatbreads either. I know, I know…how exciting can a flatbread be? Well, I have to say, the flatbreads at White Rock Alehouse & Brewery are pretty damn good. They are a perfect size and the flavor the profile of each is spot on. White Rock Alehouse & Brewery is THE perfect addition to our East Dallas neighborhood. A sprawling patio in the back makes it bike, pedestrian and pet-friendly, too! Don’t miss out on a visit here.